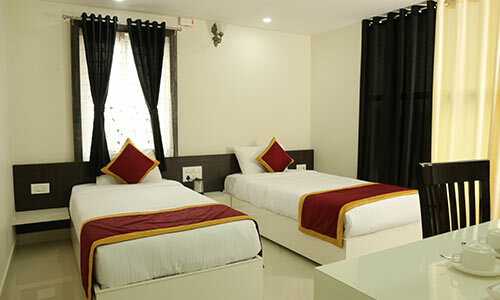 Owner suites are rooms designed for two adults, Queen bed, equipped with facilities like complimentary hi speed Wi-Fi, tea coffee maker and LCD TV along with the basic facilities. Owner suits, with more added facilities and services, gives you the most comfortable stay at Amber Castle. Our staffs are all trained to serve you the best way and make you feel comfortable. We will never let you down by compromising in any one among comfortable stay, individual security, privacy, convenience, cleanliness and hygiene. 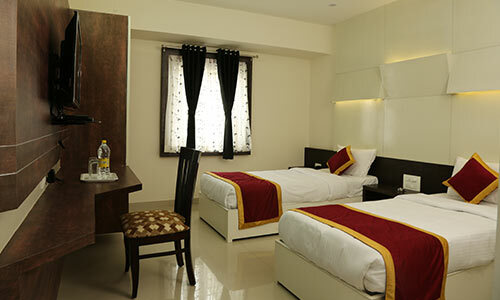 Amber castle offers 3 well-furnished spacious Owner suits.